American physician and epidemiologist Jonas Salk developed the first effective vaccine against poliomyelitis (polio), a crippling disease that killed more than 3,000 Americans at the epidemic's peak in 1952, and left many thousands more crippled or paralyzed. Salk began his research into polio in 1947, and tested his inactivated poliovirus vaccine (IPV) or "killed-virus" polio vaccine in the early 1950s. The vaccine retained enough virulence to cause antibodies to be produced and thus immunize the shot's recipient, but not enough virulence to risk infection. Salk declined to have his vaccine patented, believing that royalties and profits would raise the cost and make the medicine unavailable to the poor. The vaccine was approved for public use on 12 April 1955. Salk's finding made him a celebrity far beyond scientific circles, and led to complaints from colleagues that he had overrated his own contribution to the effort. His work was also deemed controversial because it had been lavishly funded by the March of Dimes' brilliant advertising campaign, far in excess of more common diseases including cancer and heart disease. All controversy aside, however, the vaccine created by Salk and his team reduced the instance of polio among American children by more than 90%, a decline that accelerated with the introduction of Albert Sabin's "live-virus" oral poliovirus vaccine (OPV) in the 1960. In 1959, Salk began planning what became the Salk Institute for Biological Studies, designed by architect Louis Kahn and constructed near San Diego. Opened in 1963, it remains one of the world's most prestigious facilities for research into AIDS, Alzheimer's disease, Parkinson's disease, and plant biology. 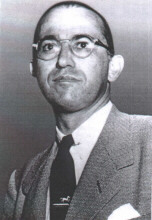 He was born Jonas Salk, and legally added the middle name Edward prior to his first marriage in 1939. His brother, child psychologist Lee Salk, showed in 1960 that the sound of a mother's heartbeat calms a newborn infant. His second wife was the painter Françoise Gilot, who had been Pablo Picasso's lover and mother of two of his children. Her biography of Picasso became a best-seller, after the artist unsuccessfully sued to block its publication. Green Hospital, La Jolla, CA.